Time has been kind to the R6, too; the economic collapse meant manufacturers were no longer retooling their middleweights every two years, and once the economic environment showed signs of stability, OEMs turned their sportbike attentions to the literbike field. But the time has come for the R6 to finally get some fresh duds, and Yamaha has borrowed heavily from its R1 big brother for inspiration when giving the R6 a makeover. And finally, it’s time to ride it. Fresh styling initially wowed us when the new R6 made its debut at AIMExpo last year, but after reading the press materials and Yamaha’s presentation there was a glaring component nobody talked about: its engine. It turns out the heart of the new R6 is, well, the same as the old R6 – no modifications, changes, or anything. Not that this is a bad thing; with a resume like the previous R6 engine has if it ain’t broke, don’t fix it. Much of the new R6’s major updates are captured here. From the updated instrument display you can see the bar labeling the traction-control settings and ride-mode position. At the bottom of the picture is the new KYB fork, borrowed from the R1 and adapted for use in the R6. And off to the right is the new Nissin master cylinder, replacing the Brembo unit of yesteryear. While the engine might be the same as before, the R6 is entering into modern sportbike times with a few electronic bits inspired by its R1 big bro. Like many other Yamahas, the R6 now sees three drive modes – A, STD, and B – with A delivering aggressive throttle response, B soft response, and STD somewhere in the middle. Traction control and ABS are new additions to the R6 as well, but unlike the R1, the R6 relies on wheel-speed sensors to control both functions, without the assistance of an IMU. TC is adjustable between six levels plus off, and reacts to excessive wheelspin by first retarding ignition timing before limiting fuel and/or electronically closing the throttle butterflies. ABS, meanwhile, is non-defeatable. Yamaha claims the new fairing design on the R6 is the most aerodynamic of any production Yamaha, and here we get a side-by-side view of the difference between old and new. From the rider’s standpoint, the most obvious benefit of the new design is smoother airflow over the rider’s head. But the biggest and most obvious difference between old and new R6 is its appearance. Personally, I thought the old bike’s design has held up pretty well over the course of 11 years, but to me the 2017 bodywork is a clear step ahead. Borrowing inspiration again from the R1, the R6 has a similar nose and front intake opening. From there, the R6’s angular daytime running lights and alien-eye headlights tucked at the bottom of the fairing also mimic its big brother. The windscreen is now higher, too – raised 50mm (2 inches) compared to its predecessor. This continuation of the R series DNA applies to the rear of the bike, as the tail features hollow sections on either side of the passenger pad, just like the R1. When all is said and done, Yamaha says wind resistance with the new bodystyle, including rider onboard, is reduced by 8%, making it the most aerodynamic production Yamaha to date. In fact, the Yamaha folks tell us that in testing the new bike gained approximately 4 mph more top speed compared to the previous bike, just from the new fairing alone. From there, changes are relatively minor. The frame remains the same as before, as does the swingarm, though the magnesium subframe has a new 20mm narrower design. Aluminum is now the material of choice for the fuel tank, shaving nearly three pounds compared to its steel counterpart. Where Yamaha engineers primarily focused on was the front end. KYB provides the 43mm fork, borrowed from the R1 (with valving and rates better suited for the R6), which is 2mm thicker than the previous fork. The front axle is larger as well, up 3mm to 25mm. 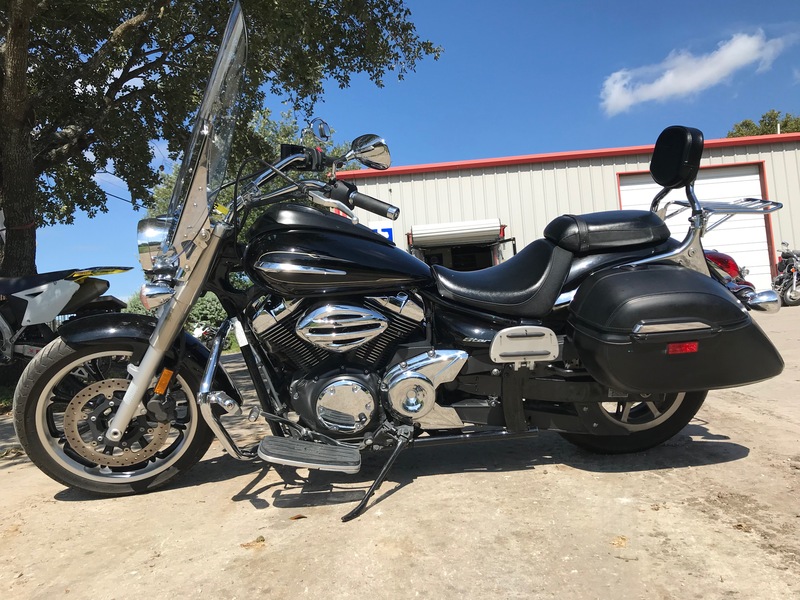 Both these additions add rigidity to the chassis, which forced engineers to make a smaller lower triple clamp to reintroduce the flex and front-end feel riders appreciate. The hollow sections of the tail is the result of heavy influence from the R1. A 5mm rise where the seat meets the tank is supposed to add a little comfort, while the section just behind it is narrowed 8mm to help vertically challenged get a foot on the ground. Other changes to the front include 320mm rotors, up 10mm from before, still clamped by four-pot calipers. The difference for 2017 is a change in front master cylinder. Nissin replaces Brembo in an attempt to provide additional feel at the lever – a criticism of the previous system. In the rear there’s also a new KYB shock, along with a compact rear caliper. The big electronic feature carried over from the R1 to the R6 is the ability to plug in the accessory Yamaha CCU, or Communication Control Unit. For $700, R6 riders serious about their lap times can simply plug in Yamaha’s data-acquisition module, download an app on either an iOS or Android device, and then have the ability to download data from each of their track sessions. Among the many parameters recorded are traction-control activation, front and rear ABS activation, lean angle, engine speed, wheel speeds, throttle position, gear position, front and rear brake pressures, coolant temperature, and of course lap times. Those parameters are then outlined along with a marker noting your position on the racetrack, so you can see how you and your inputs are affecting the bike at any given point on the track. There’s also the option to overlay multiple laps, and even send data back and forth to other people to study what they are doing. Brake discs are bigger now, and the wheel-speed sensor in the center is used for both ABS and traction-control functions. Both Bridgestone and Dunlop are supplying tires for the R6. I can understand why one would be sad or disappointed with Yamaha for keeping the R6 engine the same as it’s been for more than a decade. But here’s the thing: it’s still a ripper of an inline-Four that screams to 16,000 rpm, as I discovered during Yamaha’s press introduction of the bike at Thunderhill Raceway in Northern California. Rounding the final right-hand bend leading onto the front straight, the tach needle rockets towards the end of its sweep as my wrist turns to the stop. With the shift light blaring in my face, the engine below wailing into my ears, and the beautiful green scenery – the result of a very wet winter in California – zipping past my periphery in a 130 mph blur as I’m tucked in behind the windscreen, the last thing I felt was a want for more power. We’ve never had any complaints with the R6’s chassis before, and I was reminded why during this track ride. It’s simply an agile and athletic package that’s as potent now as it was all those years ago. 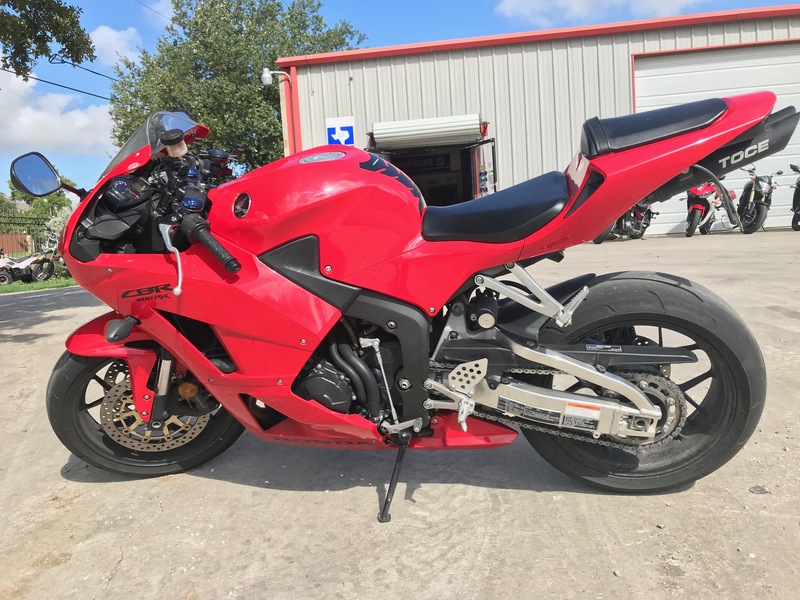 This R6 engine propels the bike with a sense of urgency that’s invigorating, without the levels of fear, fright, or rapid brain calculations you get with a liter-class sportbike. It rewards a skilled rider because they can’t rely on R1 levels of power, and it feels instantly familiar the moment you turn a lap on it. That said, a newer sport rider would still feel comfortable on it thanks to smooth throttle response in the STD setting (A mode borders on being slightly too aggressive for a new middleweight rider). Seat height hasn’t changed from its previous 33.5 inches, but the lip at the seat/tank junction has been raised 5mm, while the mid-section has been narrowed 8mm. The former helps reduce the tendency for the rider to get angled toward the tank, while the latter helps make it easier for shorter riders to touch the ground. The bikes we were given to ride at this launch were equipped with the accessory quickshifter ($199.99) which the R6 is already pre-wired to accept. It only works during upshifts, but nonetheless, I maintain it’s an item that should be standard on every new motorcycle. Having been spoiled by the power of literbikes lately, I came to heavily appreciate the quickshifter on the R6 since you’re shifting more on a 600 compared to the big bikes. The system works well, but it’s not quite as refined as the quickshifter from the new Honda CBR1000RR – the best unit I’ve tried to date. Down-changes are done the old-fashioned way, and thanks to the slipper clutch you can bang off consecutive downshifts, dump the clutch, and let the slipper take care of the rear tire while you set up for a turn. With my 5-foot, 8-inch frame, I could barely keep my elbows and knees separated in a tuck. And I did notice a calm pocket of air in front of me as well. The taller windscreen definitely helps direct air over the head instead of in your face. Of course it’s not surprising the engine performance is exhilarating around a racetrack. This has been a hallmark of the R6 its whole life. But since there’s nothing new there, the question then turns to the changes and additions Yamaha did make to the R6, starting with the front end. For comparison purposes Yamaha brought a 2016 R6 to try, and after riding old and new back-to-back (though I was only allowed three laps on the old bike) my consensus is… it’s really difficult to tell a difference. The rider triangle between old and new is the same, and obviously the engine, frame, and swingarm are all the same; the only major difference here being the fork, axle, and triple clamp. If I were forced to split hairs, then there’s a chance I felt a small difference on the new bike, but a more definitive answer would probably only come from elite racers. Even in the wet there’s enough grunt for a little power wheelie in second gear, thanks to Bridgestone’s W01 full-wet race rubber. Where the new bike does get an advantage over old is in two key areas: brakes and electronics. With the bigger discs, and especially the change to a Nissin master cylinder, front-end feel from the front lever is much better than before. And with the standard ABS, I had that extra bit of confidence to pound on both levers as hard as I dared while braking from 120 mph along the back straight down to 50 mph, without fear of a lockup. No, the R6 is not equipped with Cornering-ABS, but the standard system it has works surprisingly well in a track environment. Meanwhile, the benefits of traction control should be obvious by now, and having it on the new R6 provides a safety net that made me feel comfortable pushing just a little harder. As it turns out, our test day was greeted by mixed weather. Rain the night before left the track damp in the morning, making conditions tricky with the R10 track rubber Bridgestone provided. With this in mind, my own throttle inputs were delivered with extreme care. So much so that I never activated the traction control, as verified by the data collected by the CCU. At the end of the day, the new R6 is a definite step above the model it’s replacing, despite keeping many of the same critical components. I’m not complaining about the screamer of an engine and the beautiful handling from its chassis. The new bike jumps ahead by virtue of its revised brakes and electronics package that elevate the bike just enough to call it a worthy improvement. We also think the new bike looks better than the old. That being said, at $12,199, if I already owned a third-gen R6, the new one isn’t enough of a step forward to make me want to ditch it. Especially since the aftermarket is filled with options to improve any of the perceived shortcomings (except its looks, if you perceive that as a shortcoming). Missed opportunity for a new Triple? 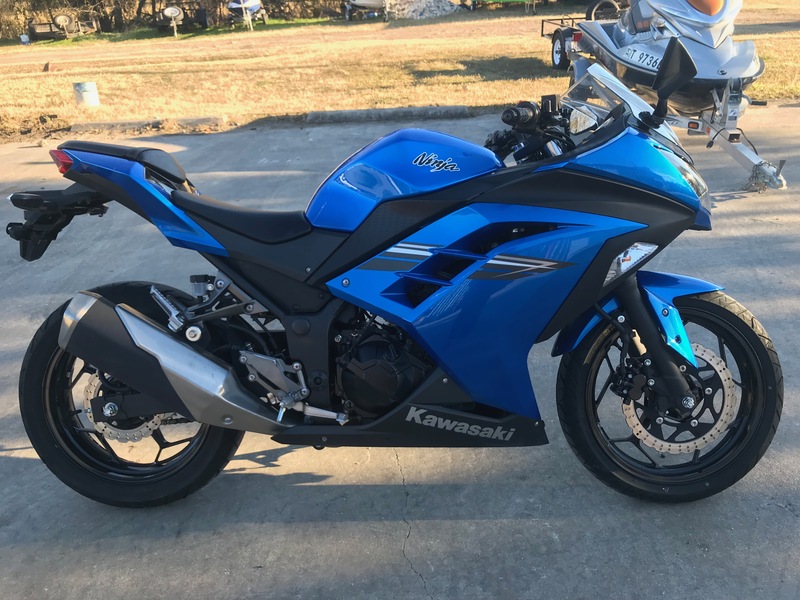 Why should I sell my old R6 for this one? However, if you’re looking at entering the supersport category and you want the sharpest tool available, you’d be hard-pressed to find something better than the new R6. It’s proof that, at least as far as Yamaha’s concerned, the 600 supersport class isn’t going anywhere. 2017 Yamaha YZF-R6 Review appeared first on Motorcycle.com.